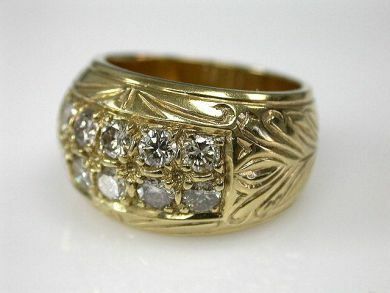 One 18 karat yellow gold bombe ring. Ten round brilliant cut diamonds (1.00 carats: SI clarity: J-K colour). The diamonds are set in two rows of five diamonds per row. The ring has hand engraved designs on the shoulder.